The Motley Fool Canada » Investing » Should Investors Buy Lowe’s Companies, Inc. Stock After Earnings? Should Investors Buy Lowe’s Companies, Inc. Stock After Earnings? Buy on the rumour, sell on the news. The old adage often proves to be correct. The fact that Lowe’s Companies, Inc. (NYSE:LOW) blew through analyst fourth-quarter estimates, gaining almost 10% in the process and closing within 3% of its all-time high, probably has investors contemplating taking profits. Before you do, consider why you might want to hang on to Lowe’s stock. Besides, unless you’ve got an alternative place to put the proceeds, you could do a lot worse than leaving it invested with Home Depot Inc.’s (NYSE:HD) biggest competitor. Analysts expected $0.79 per share, but Lowe’s delivered $0.86; analysts expected $15.4 billion, but it delivered $15.8 billion. Analysts saw same-store-sales growth of 2.4%, but Lowe’s grew same-store sales by 5.1% over Q4 2015. It even provided an optimistic outlook for fiscal 2017 with overall revenues expected to grow 5% in 2017 on the back of 3.5% same-store-sales growth and earnings of $4.64 — 32.1% higher than the $3.47 it generated in fiscal 2016. To say Lowe’s is firing on all cylinders would be an understatement, and CEO Robert A. Niblock acknowledged as much in its earnings press release. Obviously, that applies to Home Depot as well, so it still comes down to how well Lowe’s executes its plan in 2017. If it keeps on the path it followed this past year, it should do just fine. Canadian readers are familiar with Rona, which Lowe’s acquired this past year for $2.4 billion. Lowe’s had tried once before, but the Quebec government intervened to block the sale from happening; fortunately, this time, it got the green light. If Lowe’s wanted to be a player in the Canadian home improvement market, it had to have a presence in Quebec, which accounts for 25% of the entire home improvement marketplace. It now does, and that’s important because Home Depot, by my count, has 22 stores in the province generating approximately $838 million in annual revenue (average store 104,000 square feet, $366.25 sales per square foot). Across Canada, Rona generated $5.6 billion in 2015 revenue. Lowe’s goal is to right-size its Canadian operations to meet the home improvement needs of consumers coast to coast. To that end, it’s opening more of its big-box stores in locations that can support it while using smaller stores and dealer-run locations where that makes sense. Because Canada’s population is less than California’s, this model should be more efficient for the Canadian home improvement customer, while putting up a better fight against its biggest competitor. I think we’ll find in three to five years from now that Lowe’s got a bargain. If this were a baseball game, we’re only in the first inning. The increased profits in Q4 2016 were, in part, generated by expense cuts at the head office level which will be redirected to increasing staffing at its stores to improve the overall customer experience and to go after the professional crowd, which accounts for 50% of the home improvement market but only 30% of Lowe’s revenue. For the first quarter in a long time, Lowe’s kept pace with Home Depot. I don’t see why it can’t continue to nibble away at Home Depot, especially in Canada, and for this reason, I believe Lowe’s stock continues to be a good stock to own. 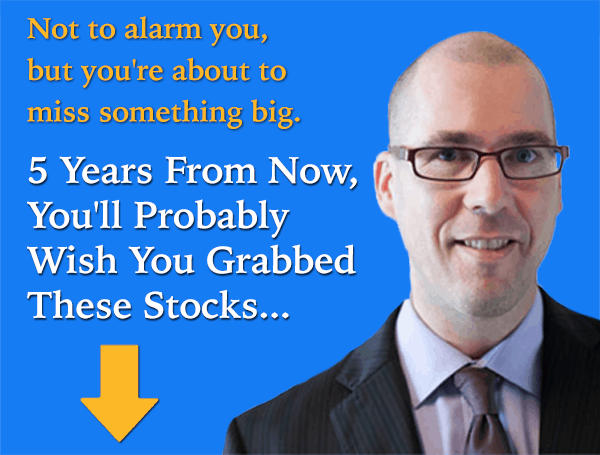 Fool contributor Will Ashworth has no position in any stocks mentioned. David Gardner owns shares of Lowe's.